Whether you want to admit or not, whether you want to do it or not and whether your partner will play along or not- you need 'lighter' fare after the holidays. Now is not the time to wrinkle your nose and hide behind that bulky sweater. Eating light and healthy doesn't mean eating cardboard rice crisps but rather enjoying simple tasty fair that isn't loaded with fats and sugars. 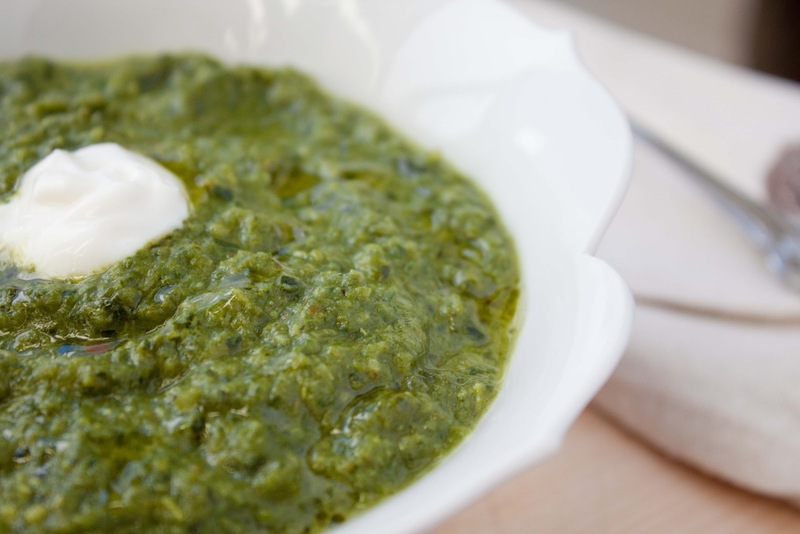 You'll be surprised how clean a spinach soup can taste even though it is void of heavy cream or cheese. Use this as a loose recipe. Add more garlic if you like or remove the celery if that isn't your thing. Try more broth for a creamier soup or less for something chunkier that will make you chew and think you are eating more than just soup. 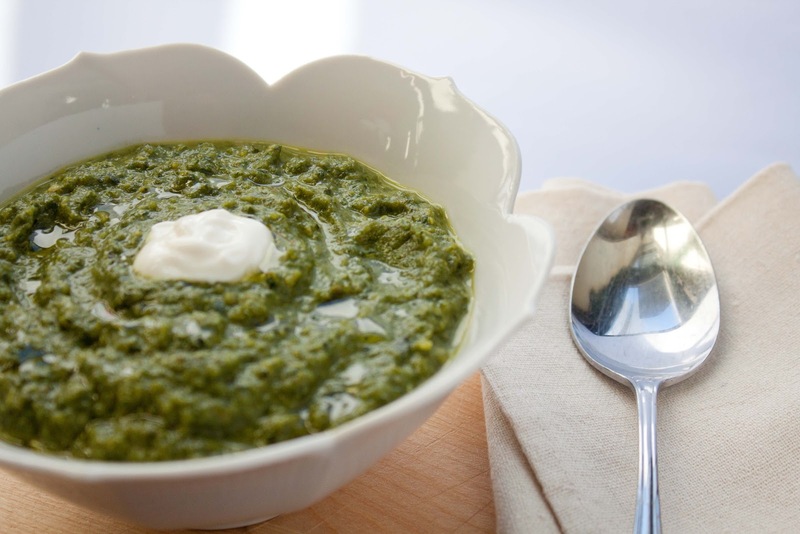 Feel less strain on your jeans or at the very least, give your gut a break with one night of healthy eating with this Fat and Happy Spinach Soup. Plus remember that Valentines Day (which means chocolate) is just around the corner and you want to be ready to indulge again, guilt free ! Fat and Happy Food Blog Tips and Techniques: A little dollop of yogurt goes a long way. If you are eating dairy, try adding just one tablespoon of vanilla Greek yogurt in each bowl. The hint of sweetness adds an interesting flavor to the soup. Of course, plain Greek yogurt or sour cream work perfectly as well for a more traditional taste. Heat the olive oil in a large soup pot. Add in the leek and cook over medium heat until they soften, stirring often to avoid browning. Add in the minced garlic, turmeric and red pepper flakes and continue to cook for just a another minute. Add in as much spinach as will fit, adding in the remaining spinach as it cooks down. If the pan is too dry, add another drizzle of olive oil. Once the spinach has all been added and has all wilted down, add in the broth. Use just enough broth to cover the spinach, place a lid on the pan and simmer the ingredients for about 10 minutes. Use an immersion blender to cream the soup until desired consistency is reached, adding more broth if needed. Top each bowl with a dollop of yogurt. Pair with a simple salad to round out the meal.